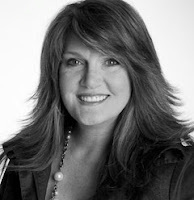 This week’s Beauty of the Week is Anita Renfroe. I know, I know! Anita is a musician, comedian, author, and a regular guest on Good Morning America. Anita first caught my attention when she became a YouTube sensation with her comedic rendition William Tell Momsense. Momsense is about everything a mother typically says to her children in the course of a day. Recently Anita caught my eye (and heart) again with her latest video Wrinkled Ladies which she suggested be Lines of Beauty's theme song. Absolutely! Lines of Beauty: Anita what do you like about growing older? Anita: Aging carries with it a sort of release. It’s somewhat necessary because things do fall away (fall off; fall, period) and we don’t always have the choice of letting things go. So there’s a wonderful sense of freedom that comes with just not caring as much about a LOT of things anymore. There is also enormous wisdom that life has afforded us that begins to coalesce and meander into our default mental state. I think that is a source of true beauty. Lines of Beauty: Anita do you have any funny stories to tell about something that has happened to you regarding midlife ? Anita: Being a comedian I find midlife to be a source of continual comedy material. The fact that you now have control over almost NOTHING is something that you either laugh or cry about. I’m bound by my professional duty to laugh about it and report to others! Lines of Beauty: Any words of advice, or words of wisdom, about aging gracefully? Anita: Aging gracefully is for wimps. I think it’s something to run toward and skid in broadside. Sorta like a really great Slip-n-Slide run! Anita: I’m 48 years old and proud of every year that God has given me on this earth so I never mind telling my age. And so many of our friends and family have not made it to this age so all I have is gratitude. Besides, I have GRANDBABIES NOW and that IS THE best part of aging – without a doubt. 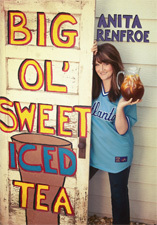 Below is Anita's latest dvd Big Ol' Sweet Ice Tea. I love what Anita said about aging! "Something to run toward and skid in broadside." That is hilarous! I also love the video "Wrinkled Ladies". It was the best! We really do begin to understand that what once was so important to us that consumed our energy no longer exists. Wisdom of self is such a gift to treasure. That is something to hold onto forever. Thank you Louise for this post! You know...I have thought several times the last year or so what a relief it is to let go of some of the things that have been consuming my energy that I am just not that excited about any more. I feel that mid-life is really about reevaluating how we spend our time and lordy is it so REFRESHING to let some things go. We are continually reinventing ourselves hopefully and when we are doing this some of the old things we focused on absolutely have to go. See my 4/28/10 post on this titled "Do What You Love" if you missed it. You are so right Maria that wisdom of self is such a gift to treaure. It is our compass. Thanks Louise, it was nice to meet the lady behind the hilarious "Wrinkled Ladies" video. I believe laughter is very important for any age. I did read your post "Do What You Love" back in April. I love that the feeling of Boredom caught your Inner Attention to let go of the local council and other business groups you were associated with as they didn't serve you no more. It is no coincidence that Lines Of Beauty was created there after! You followed your heart and have created such a Beautiful site that helps so many look into the graciousness of aging. I thank you for this site Louise! It really brings out feelings I have had for years on the process of aging and what it means to us as a whole. I totally agree with you on the idea that mid-life is about re-evaluation of self. Release the old and allow the newness to arrive to be all that you are! Love this! I cracked up when I saw her doing the William Tell Momsense bit! Thanks for sharing your insight and humor. And yes, those grandbabies are an AMAZING part of getting older! I'm with you Anita, I'm skiddin' in broadside!! Love the interview Louise...here's to laughter and the funny side of life! I hadn't actually heard of this fabulous woman until you featured her on this blog awhile back. Now, I can't get enough of her. She is freakin' HILARIOUS. The fact that she can take aspects of our lives that far too many of us find shameful and rip that insanity off of it, showing us how absurd it all is is just icing on the cake. Love her!